Artists were equally drawn to the man and to what he stood for. NEW YORK — Heroic in his deeds, graceful in his manner, sainted in his image, Nelson Mandela long served as both cause and muse in the entertainment community. 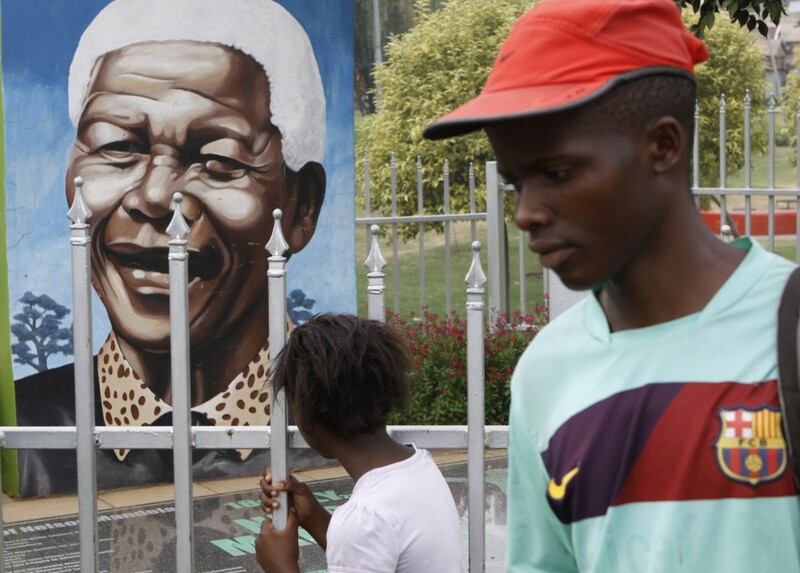 From the 1960s, when he was a political prisoner and South Africa was under the laws of apartheid, right up to his death on Thursday, when apartheid had fallen and he was among the world’s most admired people. Mandela inspired concerts, songs, poems, fiction and movies. Those honoring him include Academy Award winners Sidney Poitier and Morgan Freeman, Grammy winners Stevie Wonder and Whitney Houston and Nobel laureate Nadine Gordimer, a South African novelist. 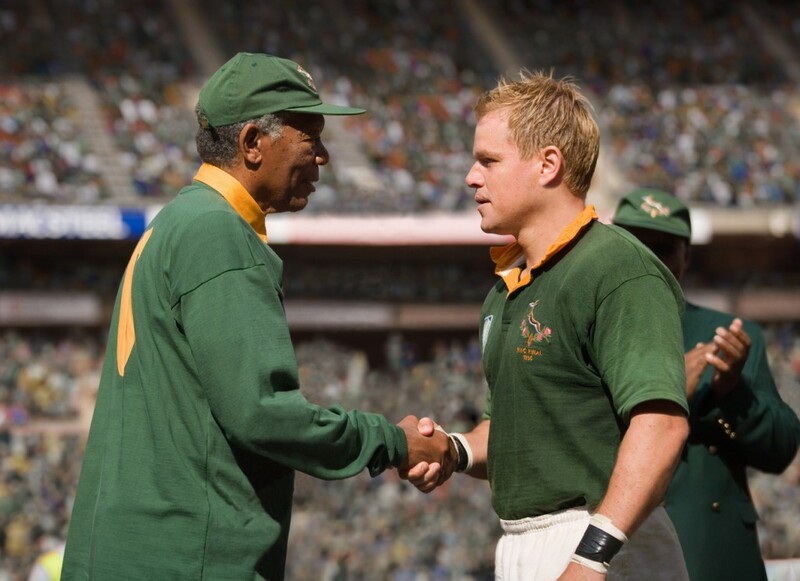 In this film publicity image released by Warner Bros.,Morgan Freeman portrays Nelson Mandela, left, and Matt Damon portrays Francois Pienaar in a scene from the film, "Invictus." From the 1960s, when he was a political prisoner and South Africa was under the laws of apartheid, right up to recent times, when apartheid had fallen and he was among the world’s most admired people, Mandela inspired concerts, songs, poems, fiction and movies. AP Photo/Warner Bros.
Artists were equally drawn to the man and to what he stood for. Poitier, gifted at conveying fiery resilience and good-natured restraint, was an obvious choice to portray him for a TV movie in the 1997. Freeman, an actor of such august bearing that his roles have ranged from judges to God, played Mandela in “Invictus,” about a South African rugby team. It took some daring to support Mandela during his prison years, when Mandela and the political movement he led, the African National Congress, were on international terrorist lists and opinions about him often divided between liberals and conservatives. As late as 1988, just two years before his release, an all-star concert held to celebrate his 70th birthday was censored on television to remove political content. 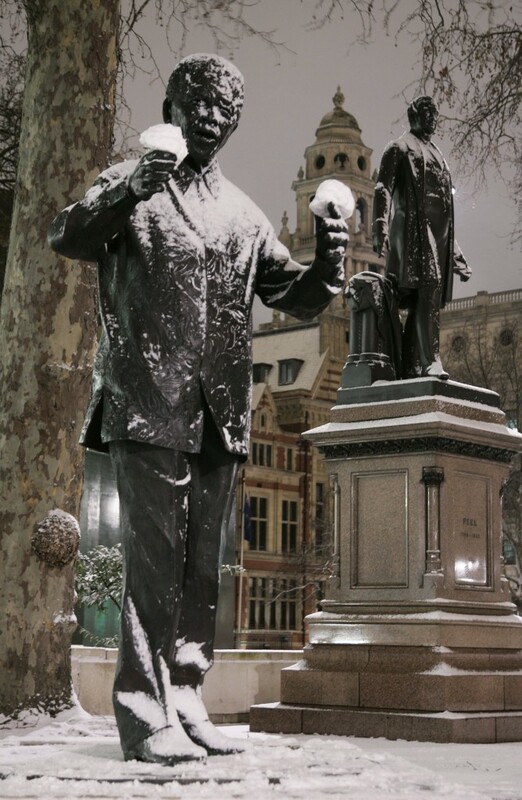 But just as South Africa managed a peaceful transition from apartheid to democracy, Mandela evolved from opposition leader to head of state to sage with remarkably little damage; he only seemed to gain admirers. 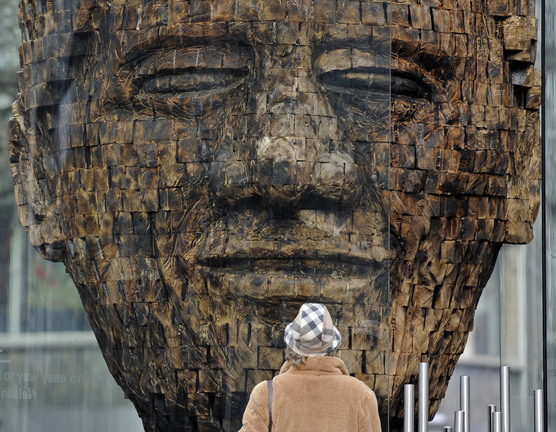 “Nelson Mandela is, for me, the single statesman in the world,” Nobel laureate Toni Morrison once observed. “The single statesman, in that literal sense, who is not solving all his problems with guns. It’s truly unbelievable.” Over the last decade of his life, Mandela presided over a series of “46664” concerts in South Africa, named for Mandela’s prison number (466) and the year he was jailed, 1964. MOVIES: Some of Hollywood’s greatest actors played him on film, notably Freeman in the 2009 release “Invictus,” directed by Clint Eastwood. Poitier and Danny Glover each starred in TV movies about Mandela’s life and Mandela himself made a cameo at the end of Spike Lee’s “Malcolm X,” released in 1992. “Mandela: Long Walk to Freedom,” starring Idris Elba and based on Mandela’s autobiography, has just been released. CONCERTS: One of the landmarks of the movement to free Mandela was a 1988 televised concert from London’s Wembley Stadium that celebrated his 70th birthday and featured such superstars as Wonder, Houston and Sting. At the time, Mandela’s African National Congress was still regarded as a terrorist organization by many countries and had been condemned by Britain’s then-Prime Minister Margaret Thatcher. The BBC angered Mandela supporters by censoring political statements and angered the South African government by airing the concert at all. A 1990 concert celebrating his release featured Tracy Chapman, Neil Young and Mandela himself, who received a long standing ovation. Shows in his honor continued over the decades, with Will Smith, U2’s Bono and Annie Lennox among those appearing. LITERATURE: Gordimer’s 1987 novel “A Sport of Nature” prophesized the end of apartheid and included a liberation leader based on Mandela. 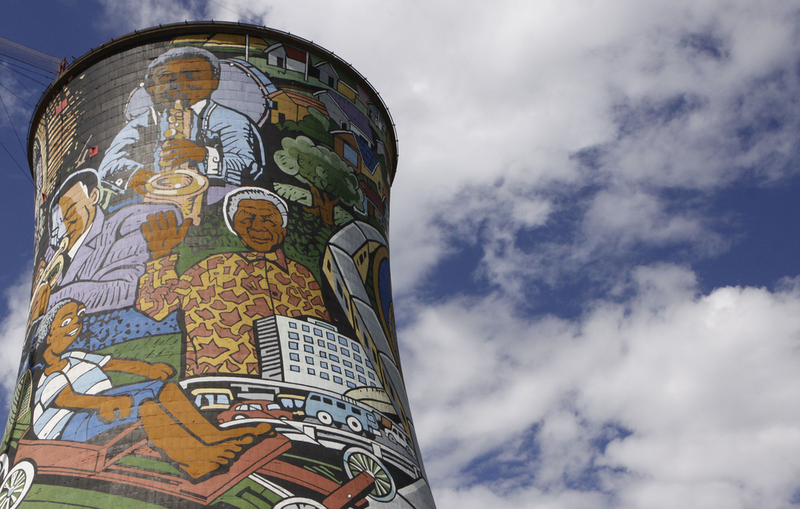 Poems about Mandela date back at least to the 1970s with “And I Watch it in Mandela,” by South Africa’s John Matshikiza. 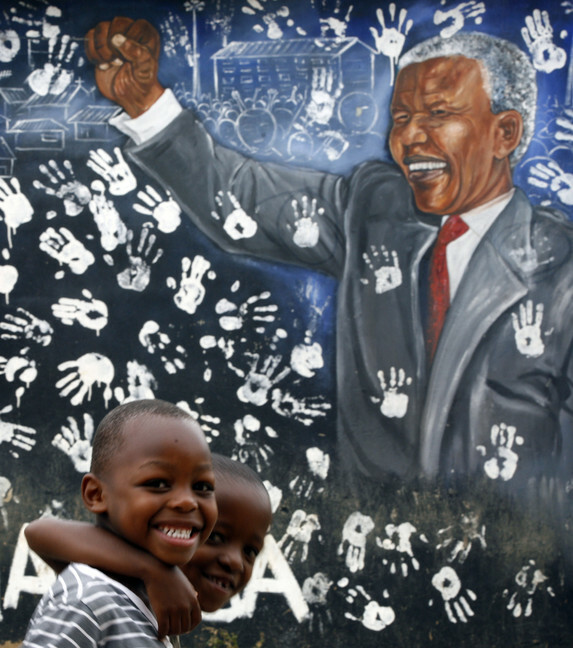 Jekwu Ikeme’s “When Mandela Goes,” published in 2004, bowed to mortality and looked to a future without the hallowed man whose tribal name was Madiba. your gallant walk shall be our cross and shepherd.